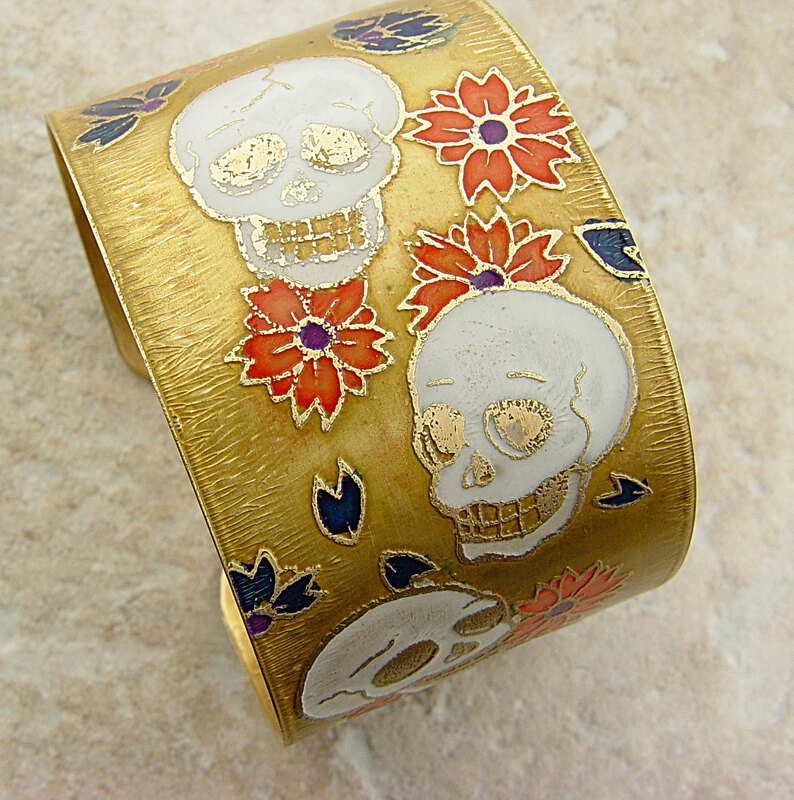 This entry was posted on Monday, October 28th, 2013 at 7:10 am	and tagged with day of the dead, dia de los muertos, marigolds, sugar skulls and posted in Blogroll, Color Me This, Cool Sites, Creativity, Jewelry, Metal Me This, Not So Daily ChitChat. You can follow any responses to this entry through the RSS 2.0 feed. I always love seeing your etchings and these are amazing. I love how you colored them, the third one especially. Those are awesome. The one with the black is my favorite! These are super amazing!!! Love them! Thanks so much for sharing…have a wonderful day! I love your cuffs…but you already knew that! Thanks for participating! 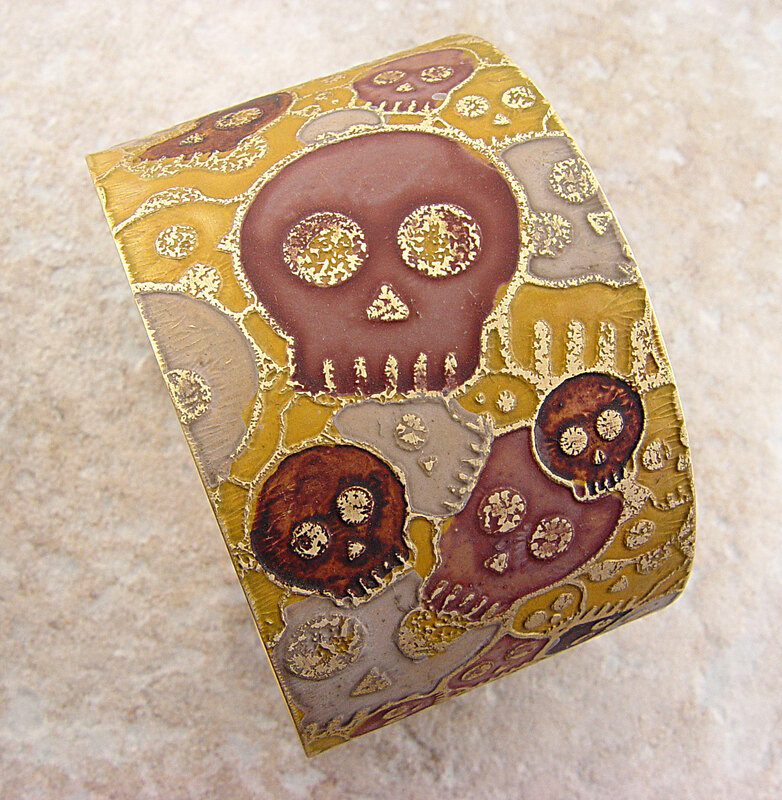 Your cuffs are great and I really like the lampwork skulls. Thanks for sharing. Cheers! I just love those cuffs! 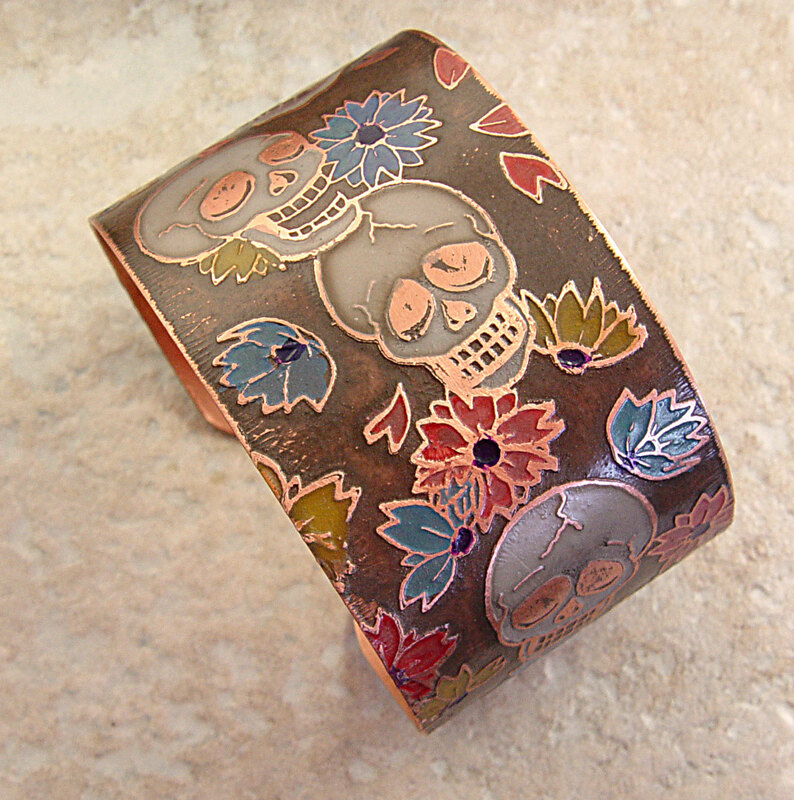 Those etched cuffs are the coolest! Love non-fussy jewelry! Gorgeous and elegant designs, Lisa! I love when you play with colors on that metal of yours!!!! Love those etched cuffs. The black and red one is particularly striking. Fun to see them all. I love your work, each is wonderful and I don’t think I can pick my favorite, they all are! Your color choices are brilliant! WOW! I love them…I’m not sure which I’d choose as favorite they are all so fantastic! Those cuffs are super cool! They are all lovely but I think the last one is my favorite! Great cuffs as always Lisa!!! So very cool! 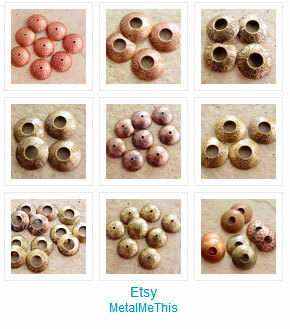 I knew you’d come up with some great etched/coloured pieces, love them! 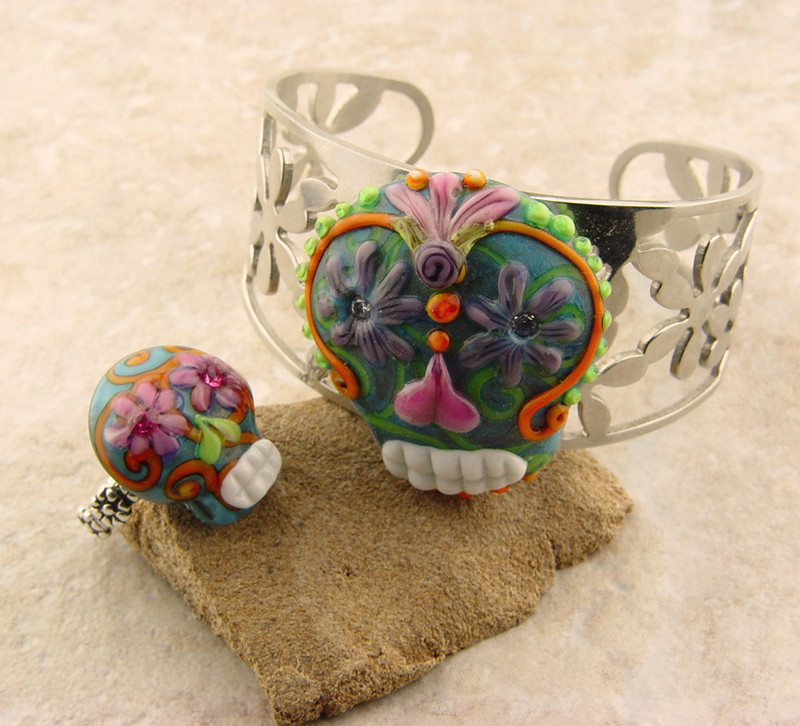 And those lampwork skulls are awesome too! WOW-ie. I so need to do some research on the sugar skulls I keep seeing. What lovely etching. Those cuffs are truly awesome! Very very nice work– looks like enamel with those colorants. 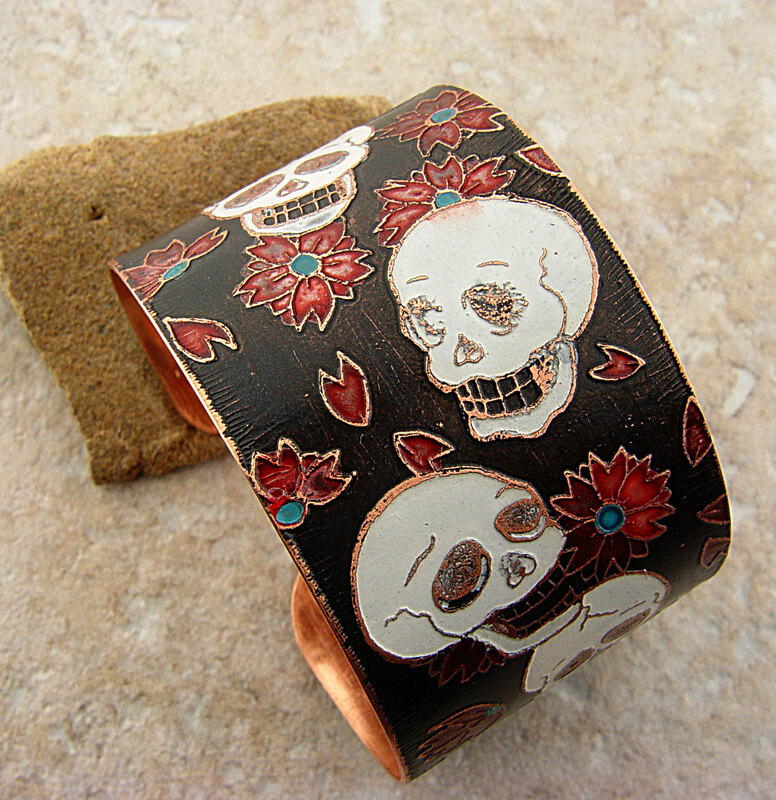 And the sugar skull cuffs are wonderful as well. Thanks for the eye candy– now I won’t need to trick-or-treat! Happy Hallowe’en. Blue topaz is the most popular of the topaz family with its brilliant blue color making it one of the best known gemstones today. It is the birth stone for the people born in the month of December. Its name comes from the Sanskrit word tapas, meaning heat or fire.